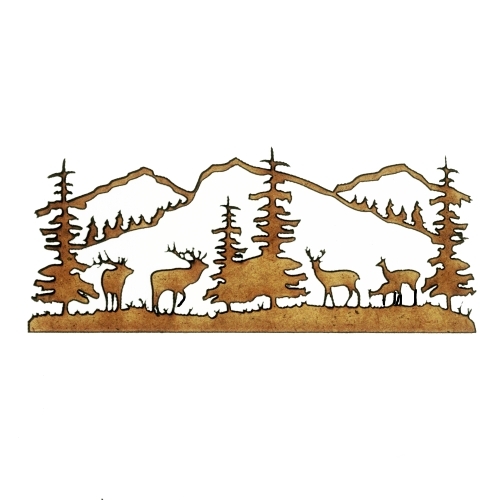 Our larger sized scenic cut outs make an ideal statement piece for larger cards, scrapbook layouts, plaques, box frames and more! 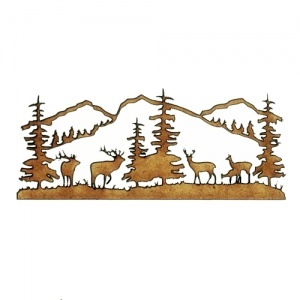 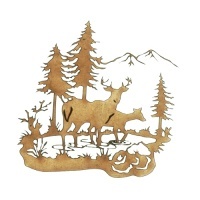 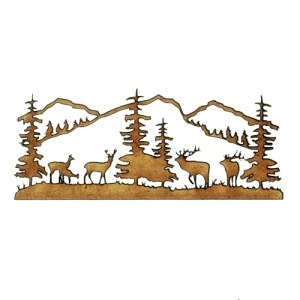 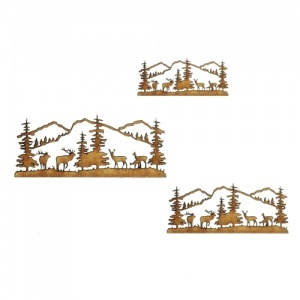 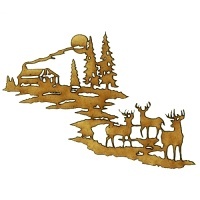 This Winter scene features a herd of grazing deer, set within a scene of fir trees and tree lined mountains. 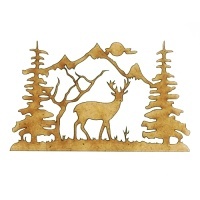 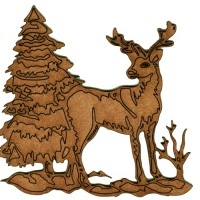 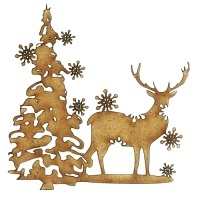 This design comes with intricate cut out detailing and is laser cut from 2mm MDF. 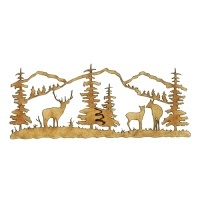 Available in 3 larger sizes - select your choice from the options above. 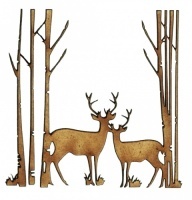 Also available in both left hand and right hand designs to compliment your projects perfectly.